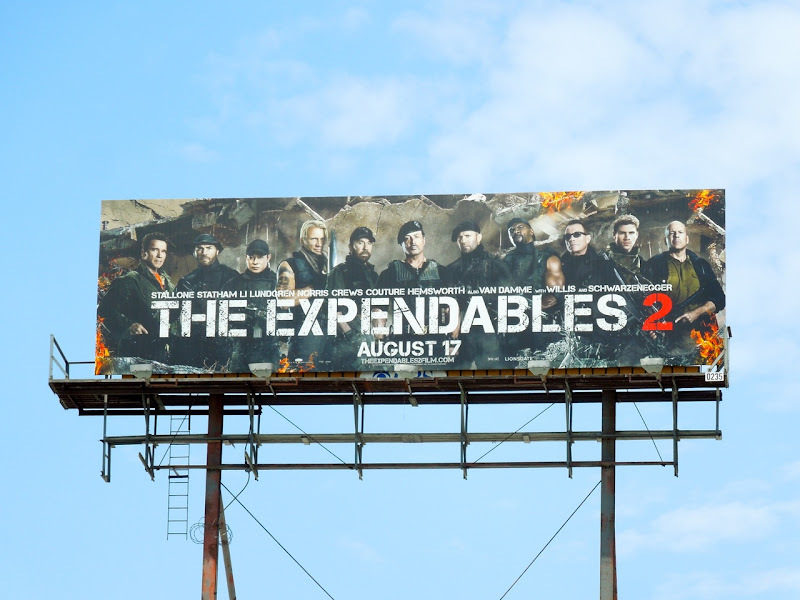 The Expendables are back for a second action-packed outing and this time they're in colour (well at least for their billboard creative). 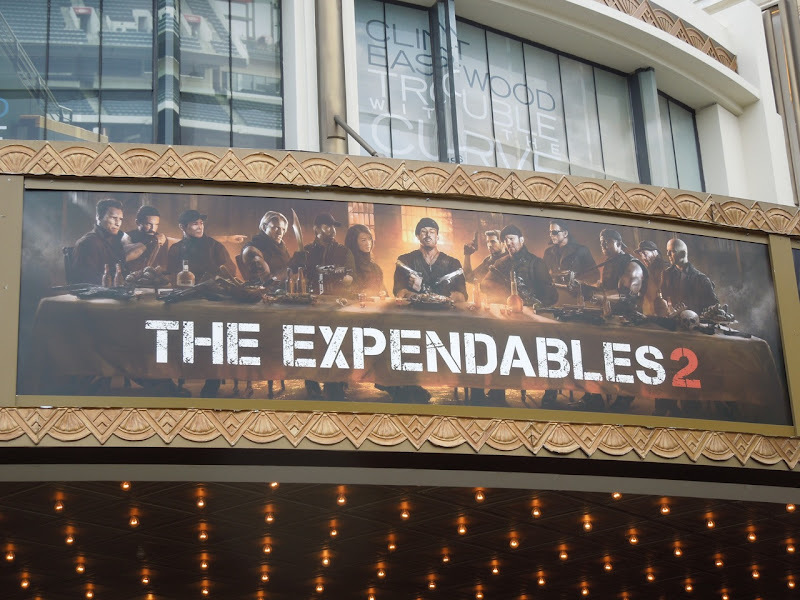 This movie sees Sylvester Stallone's band of action-hero mercenaries up against a rival crew lead by martial arts supremo Jean-Claude Van Damme after he brutally murders own of their own. 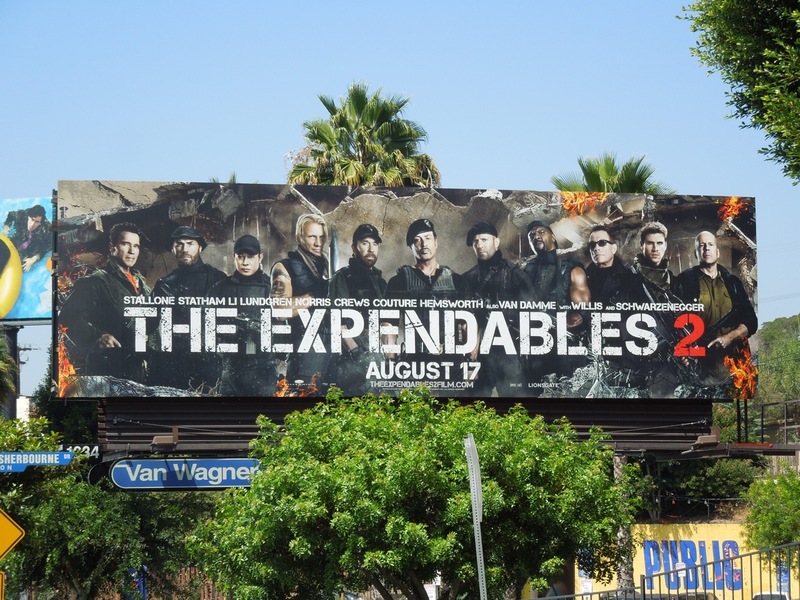 Murder, muscles, revenge and explosions mean The Expendables are back for war. 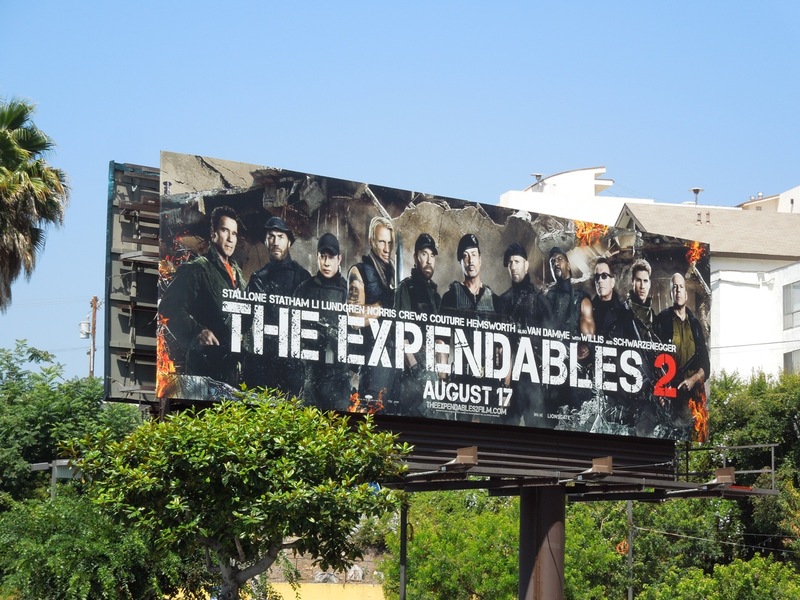 If you're a fan of the franchise, be sure to check out The Expendables first movie billboard. These billboards for the action movie sequel were both spied along Sunset Boulevard, with the standard landscape version snapped on July 24 and the smaller creative spotted further east over Gardner Street on August 1, 2012. 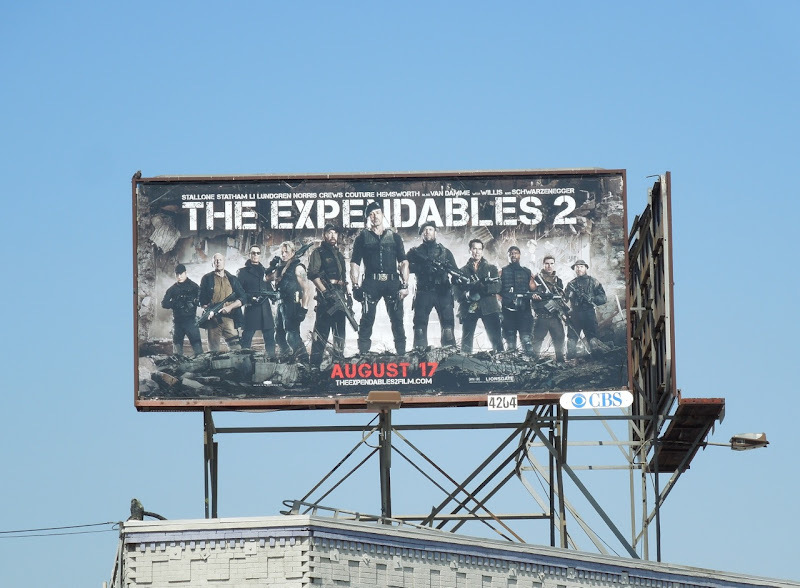 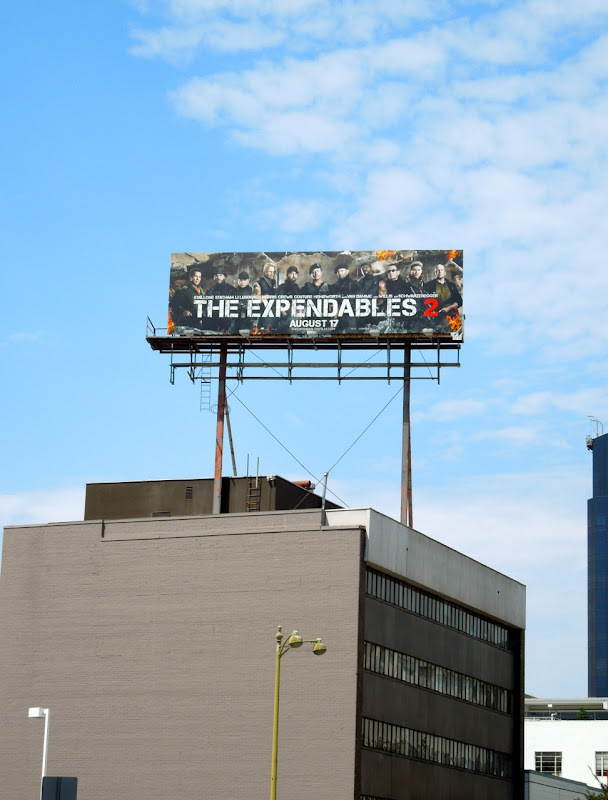 UPDATED: Here's another landscape billboard for The Expendables 2 snapped high above Wilshire Boulevard on August 17, 2012. 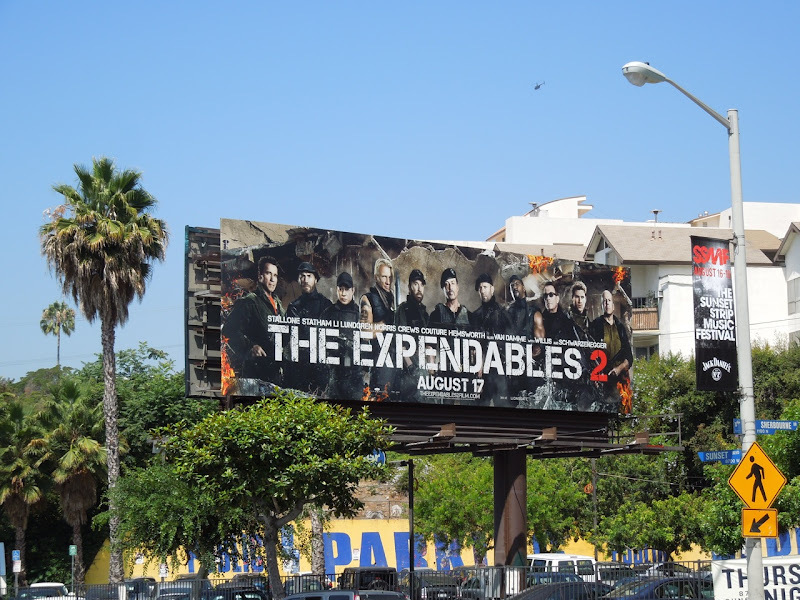 Plus here's The Expendables 2 take on 'The Last Supper' outside The Grove's Pacific Theatres on September 9, 2012.